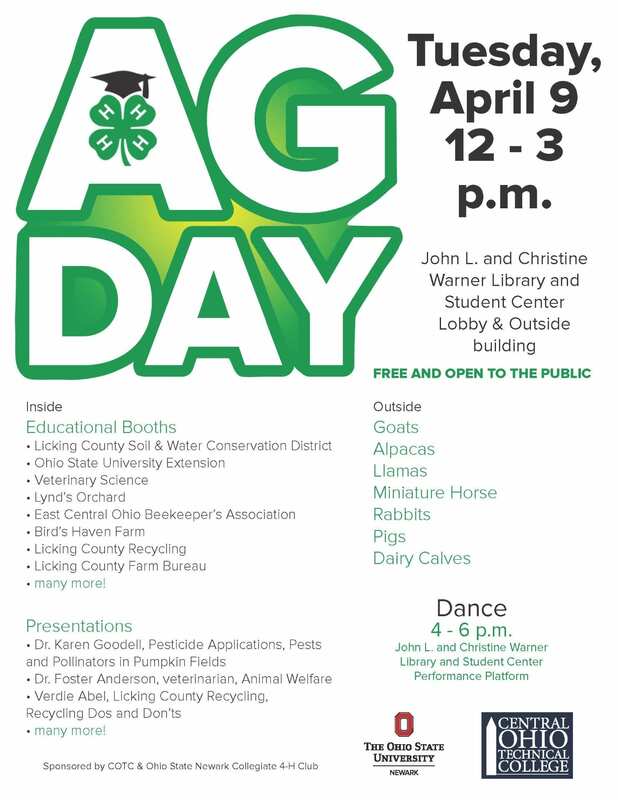 The Collegiate 4-H Club at OSU-N/COTC will host their second annual Ag Day at the OSU-N/COTC Campus on Tuesday, April 9th from 12:oo-3:00pm. The event will take place in the Warner Library & Student Center Lobby and outside building. 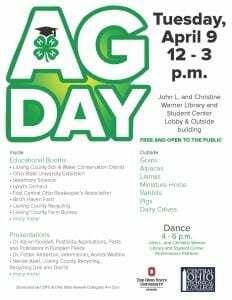 The focus of Ag Day is to educate the student body and the public about the agriculture industry and agriculture based careers. We hope you will be able to join us! 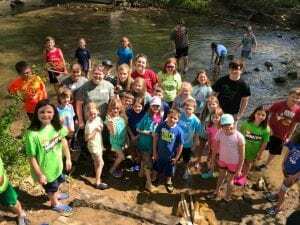 Saturday April 13, 2019 – registration deadline is April 8. Saturday June 8, 2019 – registration deadline is May 24. Choice of one welding process: Arc (‘stick’) welding OR Oxy (‘torch’) welding. NO experience necessary. The instructors are looking forward to help youth learn! Registration is limited to the first 24 participants for EACH TYPE of welding. Scholarships ARE available –please see details in the flyer, which is linked below. We ask you reserve your spot(s) with a credit card; and if awarded a scholarship, you will not be charged (similar to reserving a hotel room). On-site registration opens ~8:30AM the day of the welding workshop. The program will begin promptly at 9AM. The day will likely conclude by 4PM. NO PARENTS/GUESTS allowed in the welding labs. There will be an informal program during the day for parents/guests, or you are welcome to enjoy the Spring games in Ohio Stadium. SPACE IS LIMITED. Once the first workshop is full, we will defer participants to the June 8th workshop. PLEASE be diligent when selecting your preferred date. Linked here are the additional details, and options for hard copy/mail in registration. 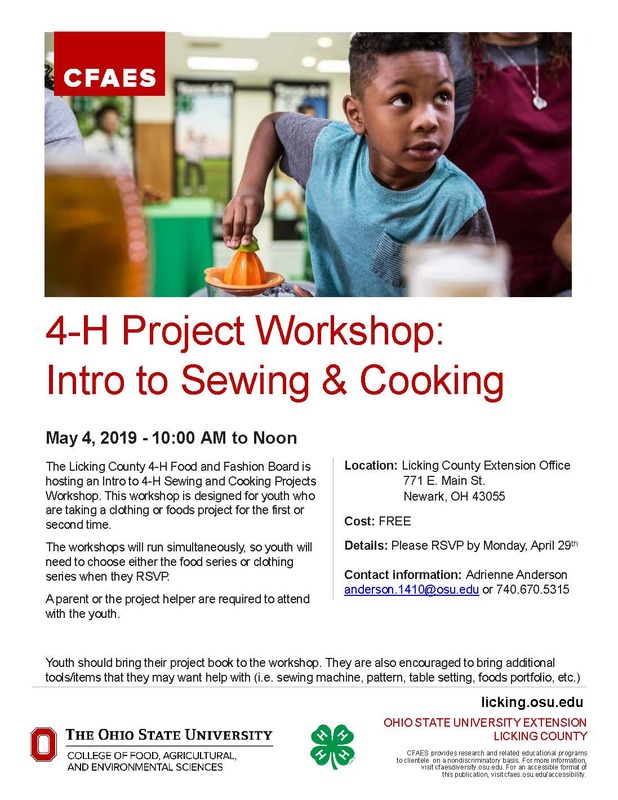 For the April 13 workshop, if you DO NOT register online, please contact Dr. Dewey Mann (mann.309@osu.edu) to verify space is available. If space confirmed to you by Dr. Mann, you will bring this form with you to registration (DO NOT MAIL). Teachers, and/or certified/trained/self-taught welders: Please let us know if you have INTEREST in serving as an instructor at one of these workshops. Participants need to bring or wear industrial-quality eye protection, long sleeve shirt, long pants (100% cotton pants such as jeans are best, NO cotton/ poly bend such as athletic pants), and high-top foot protection (No open-toe shoes, sandals, etc.). 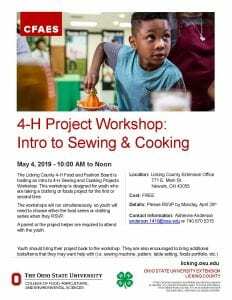 Please contact Dewey Mann mann.309@osu.edu with questions.